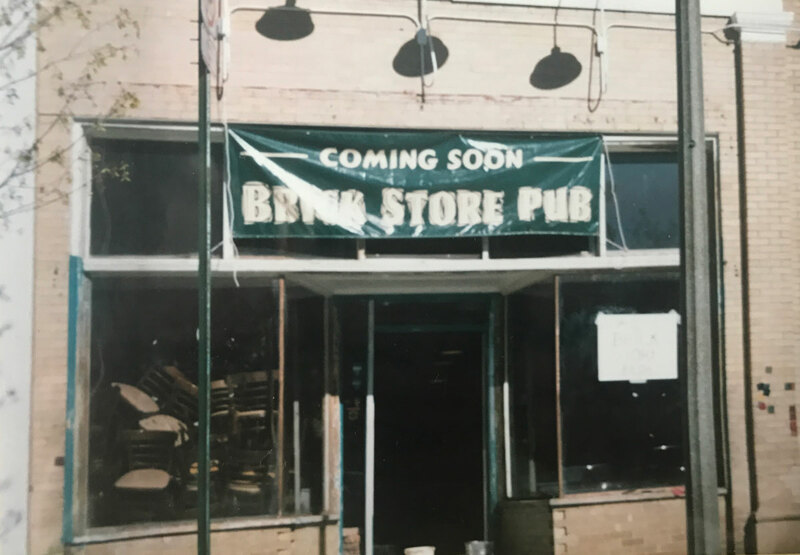 On June 27, 1997, the Brick Store Pub in Decatur opened its doors for the first time. 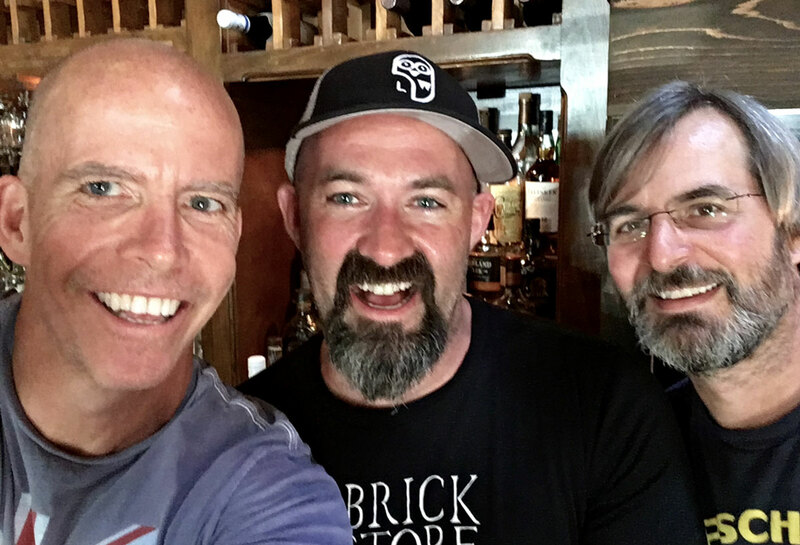 It was a cloudy, humid Friday evening, and founders Dave Blanchard, Mike Gallagher, and Tom Moore had no idea that the neighborhood pub they’d built would become known as one of the country’s best beer bars, with accolades from popular publications such as Beer Advocate and RateBeer. The three friends and business partners were early champions of a 2004 law that raised the alcohol limit for beer sold in the state. 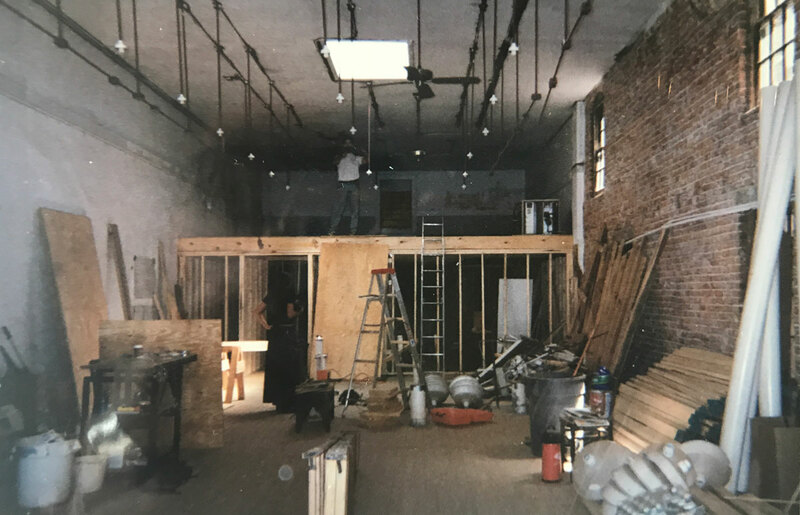 Their advocacy was slightly self-serving: The relaxed law ultimately allowed the team to open a Belgian Beer Bar on the Brick Store’s second floor and, eventually, a beer cellar that holds as many as 1,000 beers at any given time. 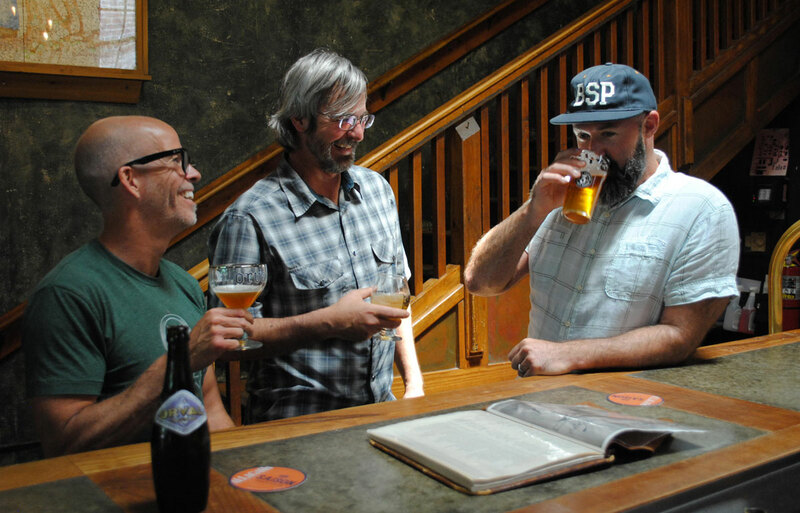 They’ve also been a champion for local brewers—and often an inspiration and source of support for them. This Saturday, in appreciation of the many partnerships they’ve built with brewers over the past two decades, the bar is tapping 20 custom beers from 20 different breweries—including Three Taverns, Victory, Creature Comforts, Second Self, Blackberry Farm, Allaghash, Left Hand, and Scofflaw—each created especially for the event. In the pub’s backyard, $60 buys a tasting glass, a chance to sample all 20 beers, and a plate of Pine Street Market barbecue. Or patrons can simply stop by the bar for a full pour of any of the custom beers. How did the three of you meet and decide to open a bar? Dave Blanchard: We met up in Athens back in the early ’90s—we all worked at the Mellow Mushroom downtown. We had a mutual affection for an Athens pub called the Globe that we’d often go to, and we realized we really wanted to be in the bar and restaurant business. 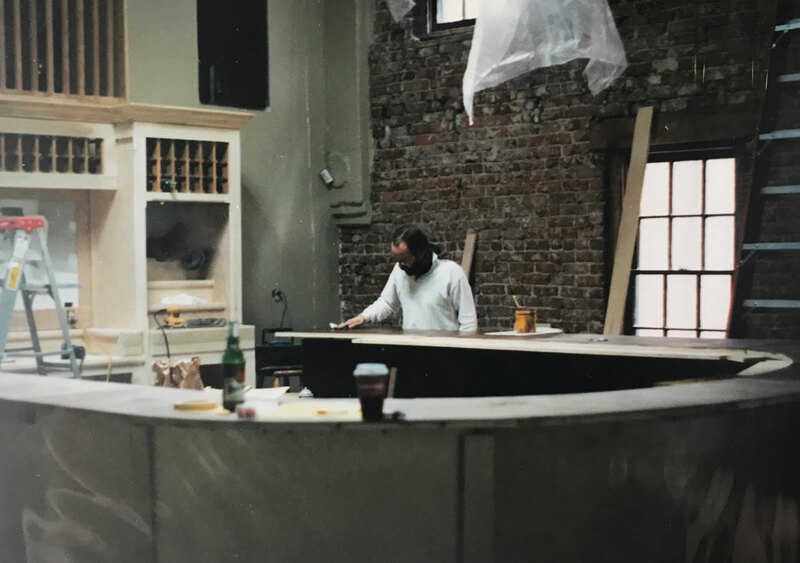 We fantasized [about opening our own bar] for a couple of years. One thing led to another and we all ended up back in Atlanta and decided to do this thing. Mike Gallagher: Dave and Tom [Moore] worked in Decatur during the 1996 Olympics (which really make the 20 years sound longer), and that’s how we found our spot. You run a bar with no TVs, no Budweiser, no gimmicks. What made you think that would work? Gallagher: At the time we opened the pub, it definitely wasn’t the norm. Most places to get a beer [in the late 90s] were sports pubs, and we enjoyed those, too, and still do. I don’t think we were trying to be counterculture. We just loved the idea of sitting down, drinking some beers, talking, and really enjoying the company you’re with. More than anything else, we wanted to push the envelope on beer. We didn’t know what we were tapping into or how big it would all become. How much has the beer scene changed in the last 20 years? Blanchard: Back in ’97, imports were the big thing. It’s really only been in the last ten years that the American beer scene gotten all the buzz. For the longest time we were known for having sort of a “weird” beer list—most places you’d go to would all have the same generic beer list. If you were lucky you’d find a Sierra Nevada Pale Ale or an Anchor Steam, but for the most part it was Anheuser-Busch, Miller-Coors, Heineken, and Corona. Now it’s hard to go anywhere without seeing a huge craft beer presence, and even better, a huge local presence. Gallagher: In 1997, the “good” restaurants in Atlanta, the ones on the top 50 lists, were all wine places. And they maybe had Sierra Nevada Pale Ale or Heineken, but other than that they didn’t have good beer. And it was hard to find a good cocktail. Now those are all prerequisites. Blanchard: Customers know a lot more about beer today. It used to be you that had to explain what a saison was, maybe even what an IPA was. I know we live in a different world because people come to the Brick Store just for the beer and seek us out because of our reputation as a place where you can get off-the-wall styles or beers that other places don’t stock. I used to ask all the time where people traveled from. Now it seems like every day there is somebody from somewhere far away. What’s the craziest thing you’ve seen happen at the Brick Store in the past 20 years? Blanchard: I think the squirrel in the cooler was probably pretty crazy, right Mike? Gallagher: I don’t know if it’s crazy, but we did throw a wake for one of the earlier local breweries, Dogwood Brewing Company, back in 2004. There was a lot of alcohol flowing. We tapped every single beer they’d made that they still had—at least 12—and this was before tap takeovers were a thing. They had stuff aged in bourbon barrels—way before anyone else was doing that. They closed down right as the [2004 state law that raised the alcohol limit for beer sold in Georgia from 6 percent to 14 percent] passed, which is sad because they probably would have done quite well. One of my favorite songs is “The Rainbow Connection” by Kermit the Frog. [Dave, Mike, and Tom] got angry with me because I kept playing Kermit all night long. Eventually Mike threatened to throw me out if I hit play again. Barrel-aged, high-alcohol beers are much more commonplace today than they were back then, and we had a bunch of those. We had a keg of a barleywine, which people weren’t used to drinking. I’ve never seen my dad overindulge more then when he came to the bar to get his third pint of barleywine. It was the classic Irish wake—somebody died, everybody got together, drank too much, told great stories, and celebrated. You’ve said your beer cellar generally has between 900 and 1,000 beers in it at any given time. If you had to leave in a hurry and could only grab one beer, which one would you save? Blanchard: I’d definitely grab an Orval. That’s my all-time favorite beer. It’s made by monks at this monastery in Belgium—they only make one beer and they’ve been making it the same way for two hundred years. It’s beautiful. It’s just a perfect beer. Gallagher: It has all the same qualities you’d want to look for in a life partner—unique, beautiful, interesting, gets better with age. It pairs well with meals, you can take it traveling with you. That’s why you make it your beer partner for life! But—I’ll tell you what most of us probably have in our fridge at home: A Night on Ponce from Three Taverns and Tropicália from Creature Comforts. And I guarantee, if you ask any of our employees what’s in their fridge, most will say one of those. Gallagher: At the pub we always have five beers that represent sort of an easier, simpler drinking style. That’s the whole “neighborhood pub” thing we try to make sure we don’t venture too far away from. [Those beers are] what most of us want, at least the guys who’ve been [working in the beer business] for a while. We always revert back to the classics. Before 2004, you couldn’t sell a beer in Georgia with an alcohol content higher than 6 percent. When the law changed to 14 percent, you were able to open the Belgian bar. How did you help change the law? Blanchard: We did our part—we held a few fundraisers where we got some unique kegs, poured them, and donated all the money to a group called Georgians for World-Class Beer so they could afford a lobbyist. We went down to the Capitol a few times when lawmakers were in session and brought a couple of higher AVB beers to educate the lawmakers as to what higher alcohol beer was. The misconception was that if the law changed, all of a sudden Anheuser-Busch would start selling a 12 percent Budweiser, and that’s not what it was all about. We explained that a little 11.2 ounce bottle of beer that is 8 percent alcohol would cost 12 dollars at a package store. I’m fairly certain a high school kid is not going to pay for that. Ultimately it became a revenue bill, which is how it eventually got passed. We probably spent six years doing our part to get that law changed. Have you ever thought about opening another Brick Store? Gallagher: Not to sound precious, but it would be kind of like cloning. There’s going to be something wrong with it. With the exception of our foray into the coffee world (with Java Monkey), we had just one business for a decade. And for those 10 years, the Brick Store a like a mirror of the three of us as partners. It’s tough to say never, but I just can’t imagine throwing that name on another business. Blanchard: I don’t think we would ever call another bar Brick Store. I could totally see doing another beer-focused place, but the location would probably dictate a lot of what it was like. Your next big venture is a new brewpub in Duluth, Good Word Brewing and Public House, which you’re launching with former Brick Store general manager Todd DiMatteo and beer manager Ryan Skinner. Any new details to share? Gallagher: It will open in early fall. 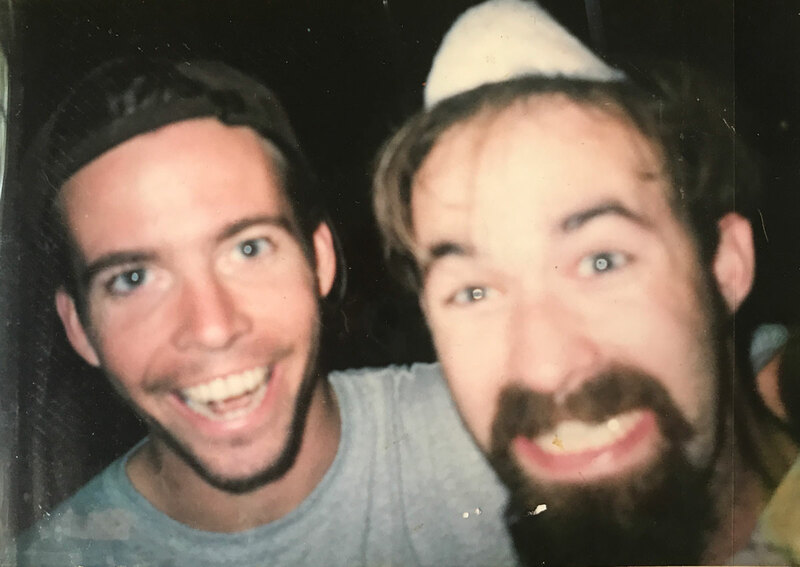 Todd and Ryan have been brewing beer for quite some time and we’ll open with more easy-drinking beer—IPAs, maybe a sour or two, a lager if we can make it happen. We’ll have fun, still push the envelope as much as we can while still keeping a few simpler drinking styles.